If you can get past the bad driving then Tampa is a wonderful place to visit. It has one Florida best zoos and aquariums. 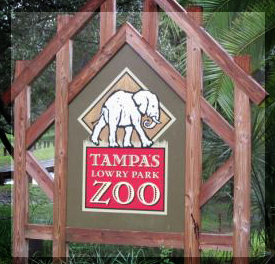 The Lawry park zoo is right outside downtown and is a great place to visit with your family. Its not your normal zoo but has lots of amazing and exotic animals. Tickets start at just $24.95 for adults and $19.95. Over the years the zoo has been transformed from just a sanctuary for animals, to a place with exciting roller coasters, flume rides, and even a train. Even with all these rides around the animals are still the focal point of the park. There are sections in the park that have been separated creating an area for the animals. There is the Safari African. Where elephants, zebras, warthogs, and even rhinos call home. If you like the smaller animals than the Wallaroo station will be a place for you. Its based on the Australian plains where koala, wallabies, and cockatoos are kept. The Asian Gardens are place where the beautiful tigers, leopards, and bears are kept. You can get up rather close and personal to them. Each and every animal in the zoo is special and in its own right. No Florida zoo would be complete without a section that focuses on the animals which call Florida home. Animals here are like the Florida Bobcat and even a few alligators. The Lawry Park Zoo is a great place to go and spend the day. Rates for renting a car could never be lower at Advantage. With lots of new cars in their fleet discounts are being offered to get them out on the road. Use the link below to save big on your next rental. Florida is state surrounded by water on 3 sides and filled with rivers. The Florida Aquarium in Tampa is a one of a kind place where all can come and see wild and exotic sea creatures. The aquarium is separated into 4 main areas Wetlands Trail, Bay Beaches, Coral Reef, and Ocean Commotion. Each part of the aquarium leads to the next. It starts off in the wetlands where you can see how the many freshwater animals life in Florida. One amazing aspect to this area is a free flying aviary many birds native to Florida are kept in this area. The fish are really amazing too giant fish that you couldn’t only imagine are here. The Bays and Beaches area has over 20,000 aquatic plants that are native to Florida. It is a great place to learn about what is truly in the rivers and our beaches around Florida. The Coral Reef section is unlike any thing I have ever seen. It is as if you stepped out of a door and into the ocean floor. It’s a wonderful and diverse ecosystem that is unlike anything else in the world. 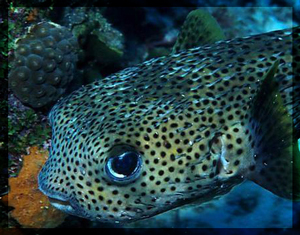 There are thousands of species that live in the reef system. The newest part of the aquarium is Ocean Commotion which highlights the life on the ocean floor is really quite active. The Aquarium is a place that is great to visit and everyone should.